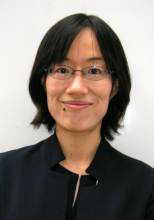 Dr. Rieko Kage, Associate Professor at the University of Tokyo, will discuss the impact of generational formative experiences or “cohort effects” on the voting participation rates of men and women in Japan. Her work draws on the longitudinal dataset, the Survey on Japanese Value Orientations (1973-2013), to examine whether, and to what extent, gender differences in generational cohort effects exist. This lecture is supported by CGP.